Now Available FREE Delivery on all our e-liquids, e-cigs and CBD products. This Offer is available to all area in the UK including Northern Ireland. 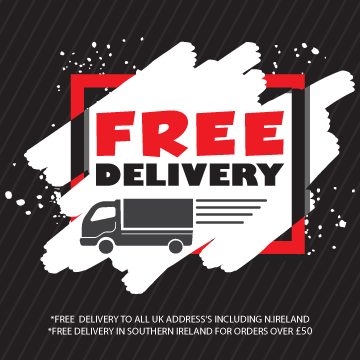 While in Southern Ireland we offer you Free delivery if you spend over £100 on any combination of items. Free Delivery via Royal Mail 1st Class Delivery. Orders placed before 12 noon Monday - Friday will be dispatched the same day. 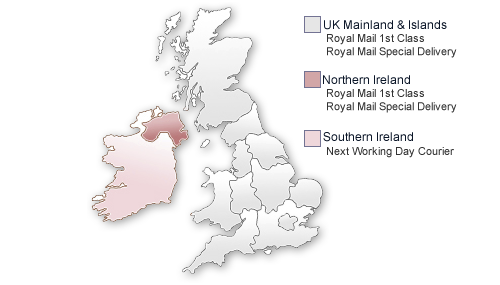 Some orders may be dispatched using Royal Mail 1st Class Recorded Delivery, in which case a signature will be required when receiving your package. Your dispatch confirmation email will inform you of the method used. (Orders placed on a Friday will be delivered on the Monday). Please Note: You must be eighteen (18) years of age, to purchase ANY OF our products. Titanic e Liquid reserves the right to cancel any transaction where it reasonably believes the purchaser is either not of the required legal age or purchasing products on behalf of a minor.